тук ще поствам учебници по химия. 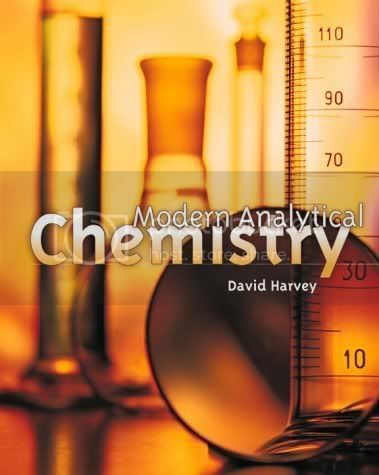 Modern Analytical Chemistry is a one-semester introductory text that meets the needs of all instructors. With coverage in both traditional topics and modern-day topics, instructors will have the flexibilty to customize their course into what they feel is necessary for their students to comprehend the concepts of analytical chemistry. Researchers around the world depend upon having access to authoritative, up-to-date data. And for 90 years, they have relied on the CRC Handbook of Chemistry and Physics for that data. This year is no exception. New tables, extensive updates, and added sections mean the Handbook has again set a new standard for reliability, utility, and thoroughness. New tables in this edition include: Index of Refraction of Inorganic Crystals, Upper and Lower Solution Temperatures of Binary Polymer Solutions, Miscibility of Organic Solvents, Density of Solvents as a Function of Temperature, and Coefficients of Friction. The Fundamental Physical Constants section has been updated with the latest CODATA/NIST values, and the Mathematical Tables appendix now features several new sections covering topics that include orthogonal polynomials Clebsch-Gordan coefficients, and statistics. 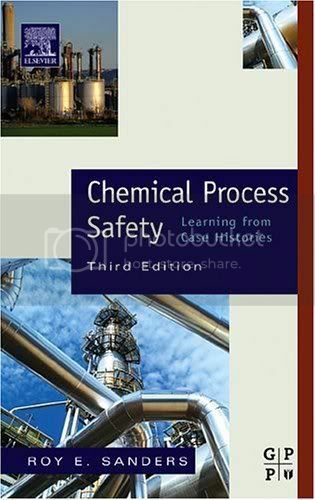 ...recommended for academic and technical libraries for serious researchers in chemical engineering. "If you want quick information about the basic (or acidic!) 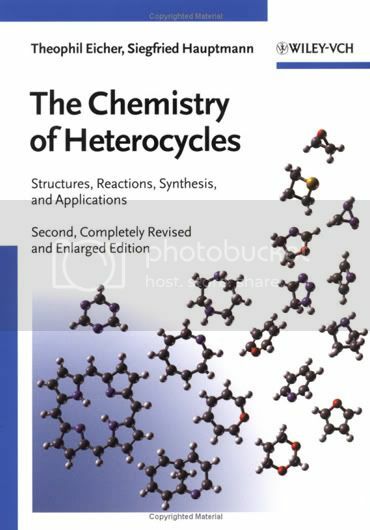 properties of a heterocycle, some interesting facts, or an assorted few ways of making it, this book provides a welcoming, accurate, and concise introduction." "Eicher and Hauptmann provide an up to date introduction to the field for the advanced undergraduate and graduate students. ... The book is carefully produced to a very high standard." 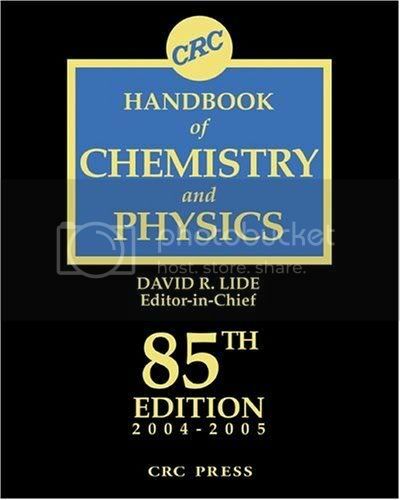 The second edition of this "classic" among textbooks on heterocycle chemistry. Here, Theophil Eicher and Siegfried Hauptmann, both renowned authors of many successful such works, present all the important aspects of this fascinating field in a clear manner. - comprehensive overview of all the important substance classes. 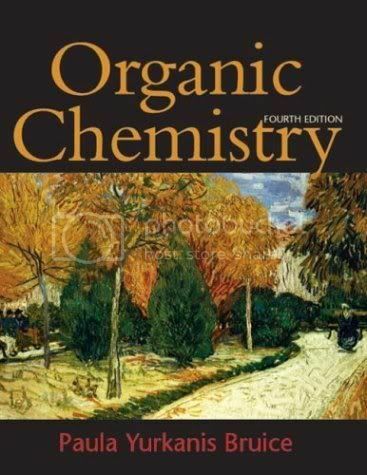 A must-have for advanced students of organic chemistry as well as for chemists looking for a quick overview of the field. Audience: Chemists, safety officers, research students, chemistry teachers in schools, colleges & universities, those involved in storage, handling, packing & transportation of chemicals. This innovative book from acclaimed educator Paula Bruice is organized in a way that discourages rote memorization. The author's writing has been praised for anticipating readers' questions, and appeals to their need to learn visually and by solving problems. Emphasizing that learners should reason their way to solutions rather than memorize facts, Bruice encourages them to think about what they have learned previously and apply that knowledge in a new setting. KEY TOPICS The book balances coverage of traditional topics with bioorganic chemistry, highlights mechanistic similarities, and ties synthesis and reactivity together—teaching the reactivity of a functional group and the synthesis of compounds obtained as a result of that reactivity. For the study of organic chemistry. 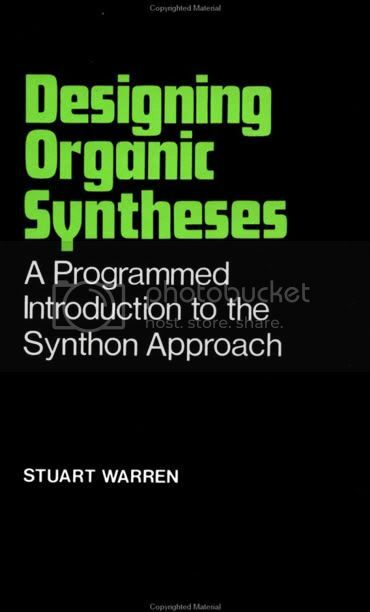 An organic chemistry textbook organized to deter students from rote memorization, but instead to apply previously learned information to the new concepts the book offers. Topics covered include electronic structures and bonding, organic compounds, reactions of alkenes, and stereochemistry. Previous edition: c1998. --This text refers to an out of print or unavailable edition of this title. In preparing this fourth edition, we have again reworked the entire book at the sentence level to make it as easy as possible for a reader to understand and learn chemistry. Among the many changes and improvements, much art has been redrawn to show molecular views of chemical processes, many new molecular models have been added, and numerous electrostatic potential maps have been included to show the polarity patterns in molecules. Problems and problem solving have also received a great deal of attention in this 4th edition. The use of visual, non-numerical "Key Concept" problems has been expanded. The number of these problems, which test an understanding of the material rather than the ability to put numbers into a formula, has increased, and Worked Key Concept Examples have been included in each chapter to show how to approach these problems. Don't make the mistake of thinking that these Key Concept problems are simple just because they don't have numbers. Many are real challenges that will test the ability of any student. Among other changes to the problems, the Worked Examples found at the end of text sections have been rewritten to begin with a Strategy discussion that shows how to approach the problem, and many now end with a Ballpark Check to make sure the calculated answer makes sense. Finally, we have added a substantial number of challenging new end-of-chapter problems that should prove thought-provoking to even the best students. 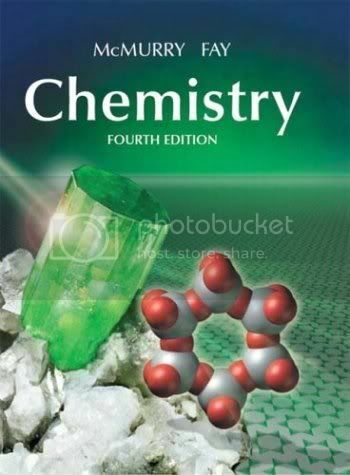 We hope that this new edition will meet the goals we have set for it and that students will find it to be friendly, accessible, and above all effective in teaching chemistry. * Features brand new sections! 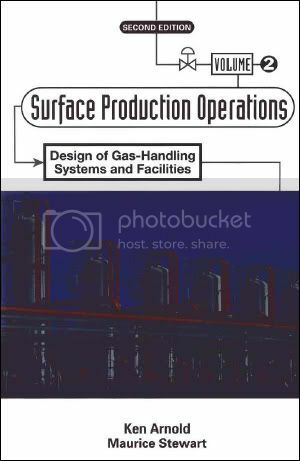 Walks you through the equipment and processes used in gas-handling operations to help you design and manage a production facility. Allows engineers with little or no background in production facility design to easily locate details about equipment, processes, and design parameters. DLC: Natural gas--Equipment and supplies. New figures, photos, charts, and tables consolidate hours of details into at-a-glance illustrations. Example problems accompany the update text. 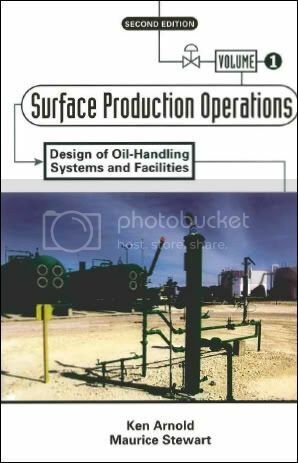 With this volumes clear presentation, you will understand the basic concepts and techniques needed to DESIGN, SPECIFY, and OPERATE oilfield surface production facilities. This manual carefully describes the equipment and processes commonly used in oil-water separating and treating systems. It also shows you how to select the appropriate piping and pumping systems. The authors insights and practical suggestions help you understand the art and science of handling produced liquids. With this reference in hand, you can organize the project with a better grasp of the complex parameters needed to design and operate an efficient production facility. This illustrative reference presents a systematic approach to solving design problems by listing the needed equations, calculating degrees-of-freedom, developing calculation procedures to generate process specifications, and sizing equipment. Containing over thirty detailed examples of calculation procedures, the book tabulates numerous easy-to-follow calculation procedures as well as the relationships needed for sizing commonly used equipment. Chemical Process Engineering emphasizes the evaluation and selection of equipment by considering its mechanical design and encouraging the selection of standard-size equipment offered by manufacturers to lower costs. Text presents a systematic approach to solving design problems by listing the needed equations, calculating degrees-of-freedom, developing calculation procedures to generate process specifications, and sizing equipment. 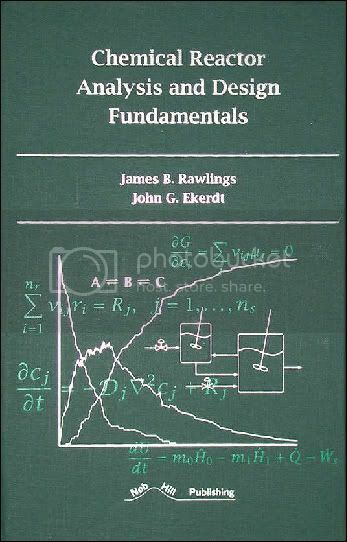 Contains more than thirty detailed examples of calculation procedures. For a senior course in process design. "The book's truly amazing. I loved its rigorous nature, generality, careful organization--rare qualities in modern reaction engineering books." 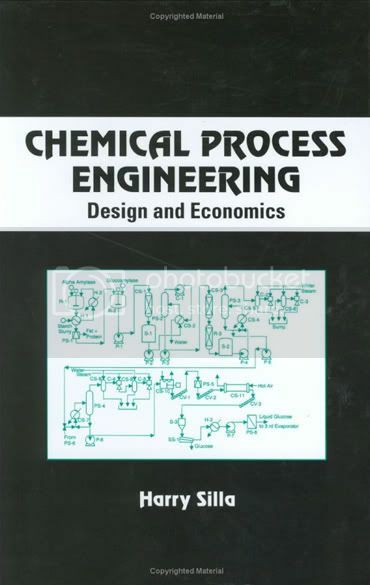 This is a chemical engineering textbook for undergraduate and graduate students in reactor design and reaction engineering courses. 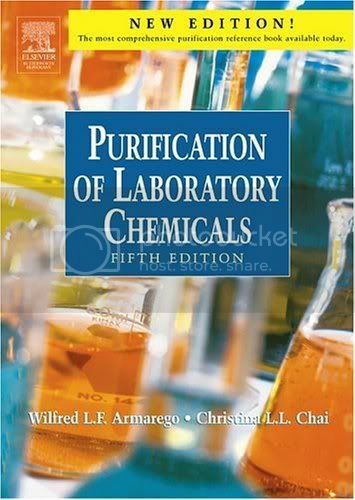 Purification Of Laboratory Chemicals, Fifth Ed. Integrating coverage of polymers and biological macromolecules into a single text, Physical Chemistry of Macromolecules is carefully structured to provide a clear and consistent resource for beginners and professionals alike. The basic knowledge of both biophysical and physical polymer chemistry is covered, along with important terms, basic structural properties and relationships. Enables users to improve basic knowledge of biophysical chemistry and physical polymer chemistry. 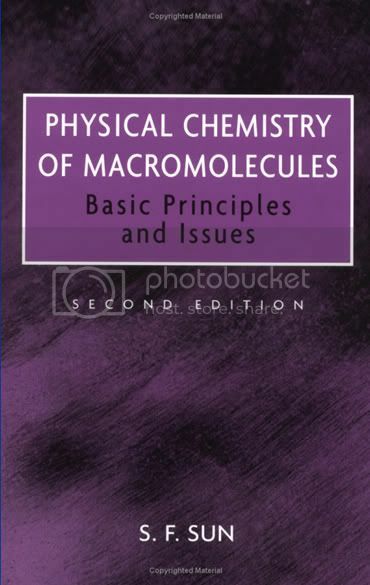 Explores fully the principles of macromolecular chemistry, methods for determining molecular weight and configuration of molecules, the structure of macromolecules, and their separations. ...this reference book has been expanded by more than 200 pages to include the latest technological and process developments in heat transfer, refrigeration, compression and compression surge drums, and mechanical drivers. 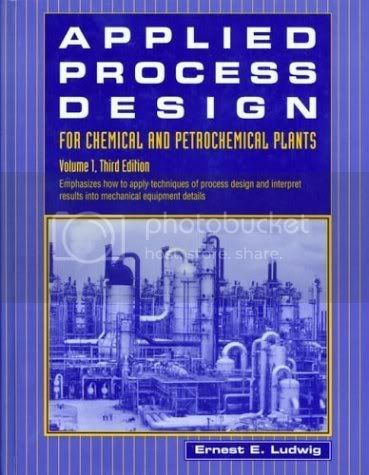 It focuses on the applied aspects of chemical engineering design to aid the desgin and/or project engineers in rating process requirements, specifying for purchasing purposes, and interpreting and selecting the mechanical equipment needed to satisfy the process functions in chemical and petrochemical plants. -Petroleum Review, March 2002 --This text refers to the Hardcover edition. 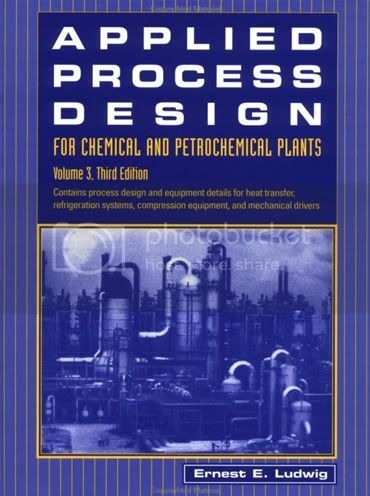 This expanded edition introduces new design methods and is packed with examples, design charts, tables, and performance diagrams to add to the practical understanding of how selected equipment can be expected to perform in the process situation. A major addition is the comprehensive chapter on process safety design considerations, ranging from new devices and components to updated venting requirements for low-pressure storage tanks to the latest NFPA methods for sizing rupture disks and bursting panels, and more. 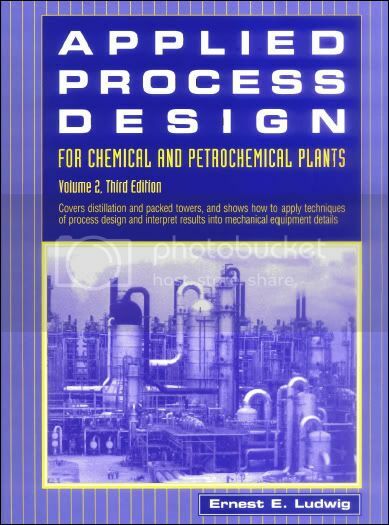 Second of a 3-volume set which emphasizes how to apply techniques of process control and interpret results into mechanical equipment details. 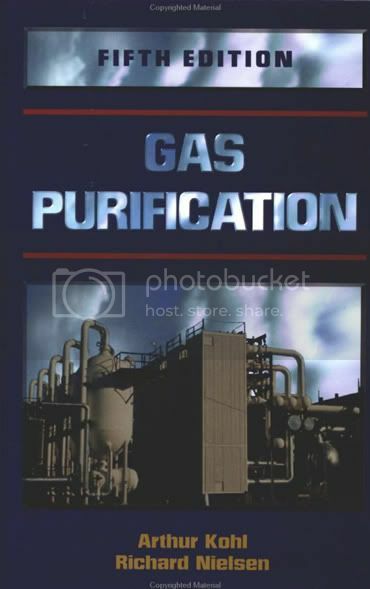 There has never before been a book published on the subject of home distillation that is as detailed as this. Every aspect is covered, from first principles to a clear explanation of the science behind it all. Every type of small still is described in detail, from the simplest to those incorporating the latest advanced techniques. No myths, no guesswork. Just tested and proven facts and designs. 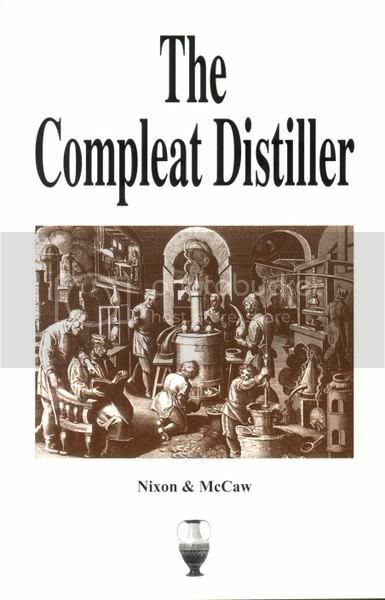 Without a doubt, this is the ultimate text on home distillation. Every aspect of distillation is covered, from first principles to a clear explanation of the science behind it all. This book discusses high-yield fermentation techniques, still design, extraction of essential oils and scents from plant materials, and much more. Highly recommended. '...well written, easy to read, well illustrated and contains a wealth of valuable information.' 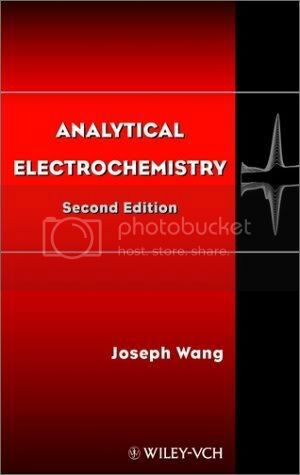 - Chemical Engineering --This text refers to an out of print or unavailable edition of this title. 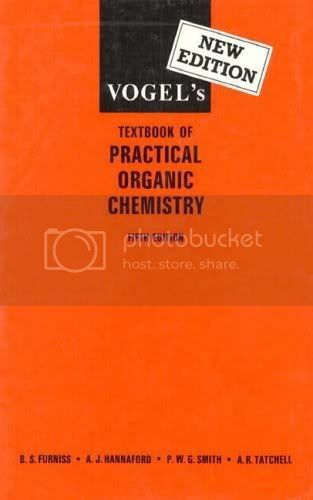 Most widely used, established and respected reference manual for the organic chemistry laboratory. Incorporates new reactions and techniques now available to the organic chemist.